System comfort sleep Relax Duo Firm. 1. Material basis Orto Medium Resilén®. (density 50 кg/m³, compression 2,40 Kpa). h = 93 mm. 2. Material basis Orto Firm Resilén®. (density 50 кg/m³, compression 3,40 Kpa). 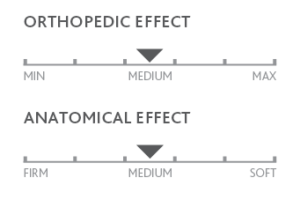 h = 125 mm. Thermostatic fabric Bvlgari. Composition: 100% polyester. Тhermoregulation. Material Memo Body Ikon® sewn into the case — instant comfort. 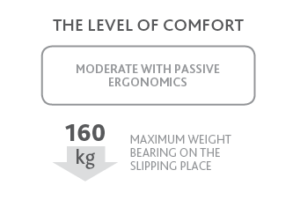 This mattress is suitable for users who like more or less moderate comfort. 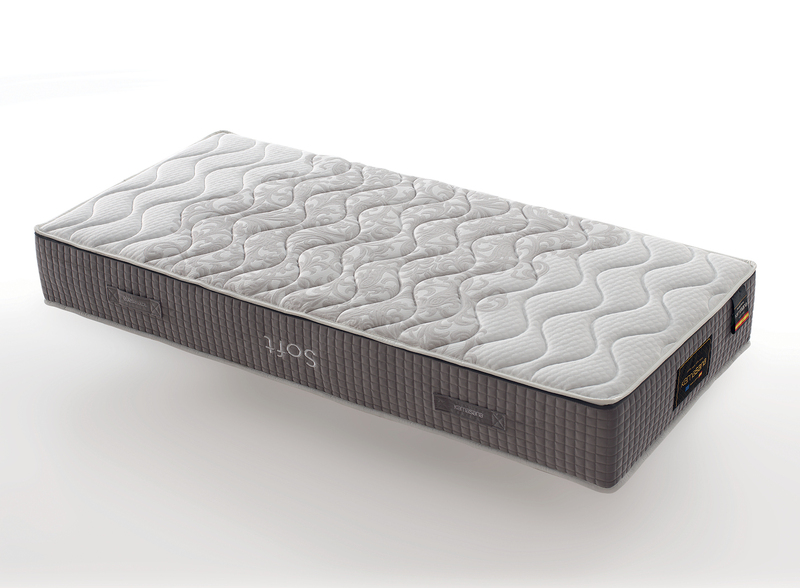 The block of the mattress has good elasticity, and due to seven anatomic zones, it perfectly adapts to places with high load. It’s important that regardless your height and weight the mattress doesn’t deform during sleep, which lets your spine to assume the natural and correct position. Besides, this mattress has two sides where one of them is with more moderate comfort, and the other one is with less, which lets you choose the most comfortable variant depending on your desire and well-being at any time you want. 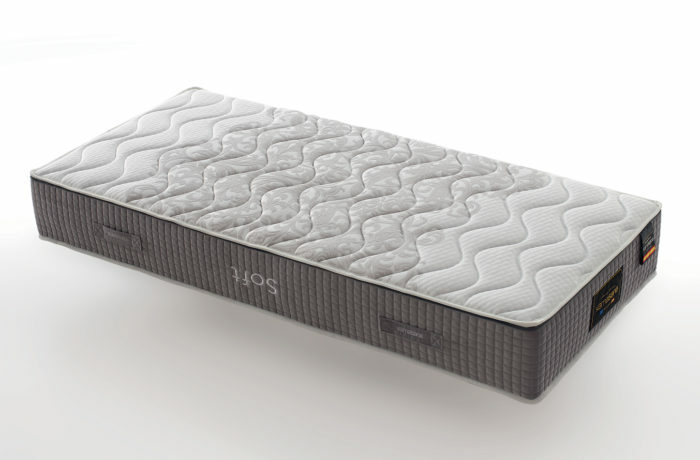 The mattress has a thermostatic cover made from COOLMAX fabric with high breathability that provides each user with right microclimate on the surface of the mattress throughout sleep (you sleep on a dry surface and with comfort all the night).